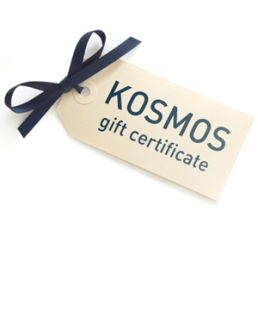 Here is a great way to share Kosmos with your friends and family. Not sure what your friend might want? then you can select a Gift Certificate in any dollar amount and we will send an email to the recipient and they can shop online themselves. During checkout you will be asked for the contact information for the gift recipient.